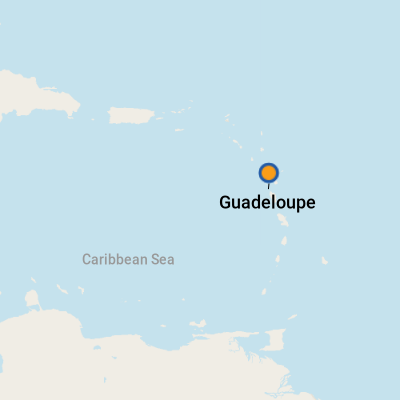 Take a look at a map, and you'll instantly see why Guadeloupe (Gwahd-loop) is called the Butterfly Island -- though its "wings" are actually two separate islands joined by bridges. 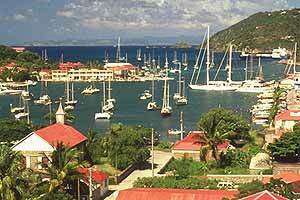 Smaller surrounding islands, including Marie-Gallant, La Desirade and Iles des Saintes, are also part of this French overseas region in the Lesser Antilles. The archipelago was originally settled by the Arawak people but later taken over by the Caribs. Christopher Columbus stopped there in 1493 and named the main landmass Santa Maria de Guadalupe de Extremadura after a statue of the Virgin Mary housed in a Spanish monastery of the same name. While the Caribs were able to fend off Spanish settlement, the French annexed the island group in 1674. Guadeloupe was seized several times by the British for its lucrative sugar production and once even taken over by rebellious slaves. The French have held control since 1816, and in 1848, slavery was abolished. Today, the population is just over 400,000, and the majority is of African or mixed descent. Guadeloupe's eastern "butterfly wing," Grande-Terre, is home to the largest city, Pointe-a-Pitre, where the cruise port is located. On this island, you'll also find beach towns and, at its easternmost tip, Pointe des Chateaux, where the Caribbean and Atlantic meet. The western "wing," Basse-Terre, is home to Guadeloupe National Park, home to the active La Soufriere volcano and 42,000 acres of tropical forest. Basse-Terre also has lovely beaches and, just off the coast, the waters around Pigeon Island are a designated marine park, named after Jacques Cousteau. Guadeloupe averages about 70 inches of rainfall a year, with the least precipitation in January, February and March. Because of the varied geography, there are many micro-climates, and weather on the two main islands can be radically different. It might be brilliantly sunny on Grande-Terre's east side and raining in Pointe-a-Pitre while La Soufriere is completely shrouded in clouds. Hurricanes pass through the archipelago, with an average direct hit about every seven years. Hurricane season is late August/early September, well away from peak cruise season. Guadeloupe's cruise terminal is located at the city of Pointe-a-Pitre. Because the port is right in town, you can easily explore the city, which may remind you a bit of New Orleans, with its lacy iron balconies gracing older buildings. Within walking distance, you'll find restaurants with Wi-Fi, shops, ATMs, pharmacies, two museums, the covered Spice Market and a supermarket (Super U, 72 Rue Jean Jaures). Upgrades in 2013 smoothed embarkation and debarkation, improved traffic flow and upped security. Because travelers from both Guadeloupe and mainland France begin and end voyages there, you'll find more amenities than at some other Caribbean terminals. The terminal building features a small duty-free shop, Wi-Fi, restrooms and a lounge area. Outside the building, vendors sell crafts and souvenirs from kiosks. Most likely, there'll be a band adding to the welcoming vibe. An information booth is staffed by English-speaking tourism reps. Taxis await outside the security gate. 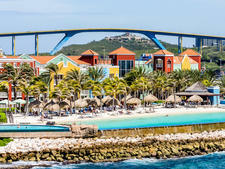 Dengue and chikungunya are two mosquito-borne diseases present throughout the Caribbean, and you'll see warning signs in the cruise terminal. Avoid contact with mosquitoes, and use a repellant containing DEET. Some businesses close during lunch and for several hours in the afternoon. Many are only open Monday through Friday or close at noon on Saturday. Few are open on Sunday. On Foot: Pointe-a-Pitre is pedestrian friendly, and the flat terrain is easy to navigate. We suggest picking up a map at the information booth because, while the streets are mostly in a grid pattern, there are a few that deviate. We recommend exploring the area to the east of the terminal building; to the north, you'll run into an industrial zone and public-housing projects. By Taxi: Taxis can be found outside of the port security fence. Many are vans, so you'll benefit by getting a group together. Taxis can be expensive, though -- think European rates. They can be scarcer on weekends, particularly Sundays. By Bus: At the Gare Routiere de Darboussier bus station (southeast of Place de la Victoire), you can catch buses to the beach towns along the south side of Grande-Terre. Stops include the popular destinations of Le Gosier, Saint-Anne and Saint-Francois. Leave plenty of time for your return because bus schedules can be a bit erratic. Buses operate from about 5:30 a.m. to 6 p.m., but service is lighter on Saturday afternoons, and buses might not run on Sundays; check with the information kiosk at the port for details. It helps if you speak some French. By Rental Car: There's a wide choice of car rental companies at the airport, but Hertz (+590-0-5-90-31-74-21) has a much more convenient location in Pointe-a-Pitre. Many of the local rental car companies are closed in the middle of the day and on Sundays, although Hertz has very limited Sunday hours (7:30 a.m. to 8:30 a.m. and 4 p.m. to 5 p.m.). Roads are generally good, although traffic can be bad, particularly on the bridges from Basse-Terre to Grande-Terre. Allow extra time if you're driving back in the afternoon, when traffic jams can be epic. Because this is French territory, the currency is the euro. Some vendors may accept U.S. dollars, perhaps grudgingly. 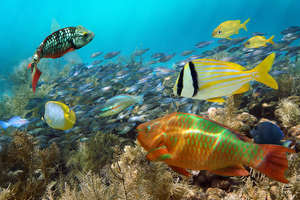 Visit www.xe.com or www.oanda.com for currency conversion rates. Cash machines dispensing euros are easy to find in Pointe-a-Pitre. L'Agence SGBA (30 Rue Frebault), Societe Generale (Rue Saint-John Perse and Rue Frebault, across from the Spice Market), BNP Paribas (intersection of Rue Frebault and Rue Delgres), BDAF Agence de Pointe-a-Pitre (Place de la Victoire), Caisse d'Epargne (Place de la Victoire), Credit Maritime d'Outre Mer (36 Rue Achille Rene Boisneuf) and Credit Agricole (3 Rue Achille Rene Boisneuf) are within walking distance of the port. French is the main language, although many people also speak Creole. People in tourism-related industries can usually speak English. Most of the online information is in French only. If you don't speak French, your best bet for information in English is to consult secondary resources, like guidebooks or TripAdvisor. Because Guadeloupe has a French connection, you'll find both Creole flavors and European cuisine. And we suspect that demanding French tourists help keep culinary standards high. Serving sizes can be hearty. As in France, your best deal is often a fixed-price option (menu or formule) with an appetizer (entree), main course (plat) and dessert included for one price. The European tourists who frequent Guadeloupe tend to lunch late, sitting down at 1 p.m. or 1:30 p.m., so you may be the only customers if you arrive at noon. Also, you're definitely on island time when it comes to service, so don't plan to eat at a restaurant if you're in a hurry. Seafood is the thing there, and there are many choices, including lobster (langouste), conch (lambis), octopus (chatrou) and (ouassou), which are like large, freshwater crayfish. A popular fish preparation is court-bouillon, a Creole dish prepared with tomatoes, garlic and chili pepper. You'll often see accras, fritters typically made with cod, as appetizers. There's also blaff, fish poached with lemon, garlic, herbs and spices (blaff of meat or even green bananas) and crabes farci, stuffed land crabs. Aside from seafood, Guadeloupe offers curries, goat (cabri) stew, and poulet boucane, which is chicken marinated in herbs and spices, then grilled over a fire partially fueled with sugarcane for a sweet-smoky flavor. You'll find an abundance of fruits and vegetables, including some that may be unfamiliar. For example: igname (giant tubers in the yam family) and fruit a pain (breadfruit), both served like potatoes. For dessert, bananas flambe is a specialty. Try delicious exotic-fruit sorbets or coconut sorbet from vendors found at markets throughout the island. These vendors often sell coconut cake and confections made of shaved coconut, as well. You'll see bright Madras-plaid fabrics everywhere -- sold by the yard or made into hats, clothing, doll outfits and household items. If you really want to go all out with Guadeloupe Creole style, stop by Dody (13 Rue Peynier, across from the Spice Market). The store features beautifully made traditional dresses, covered with ruffles and flounces, as well as more modern designs. The annex next door sells shoes in Madras fabrics. Ti punch, island patois for "petit punch," is a blend of rum, lime and sugar. It's often drunk before meals as an aperitif. Just beware: It lives up to its name by packing quite a punch! Also, rum is produced in Guadeloupe, so you'll find all sorts of rum and fruit juice blends. But if you find an expensive aged rum, it's meant to be savored like fine cognac, alone in a snifter. Look for the Damoiseau, Severin and Reimonenq labels.